Only a green world, rich in plants, can sustain us and the millions of other species with which we share this planet. But, in an era of global change, nature is on the retreat. Like the communities they form, many plant species are becoming rarer, threatened even to the point of extinction. The worldwide community of almost three thousand botanic gardens are holders of the most diverse living collections of plants and have the unique potential to conserve plant diversity. 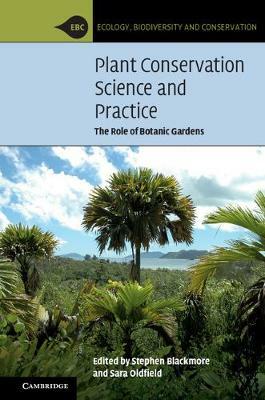 Conservation biology is a fast moving and often controversial field, and, as the contributions within these pages from experts in the field demonstrate, plant conservation is multifaceted, mirroring the complexity of the biodiversity it aims to protect, and striving not just to protect threatened plants but to preserve ecosystem services and secure the integrity of the biosphere.